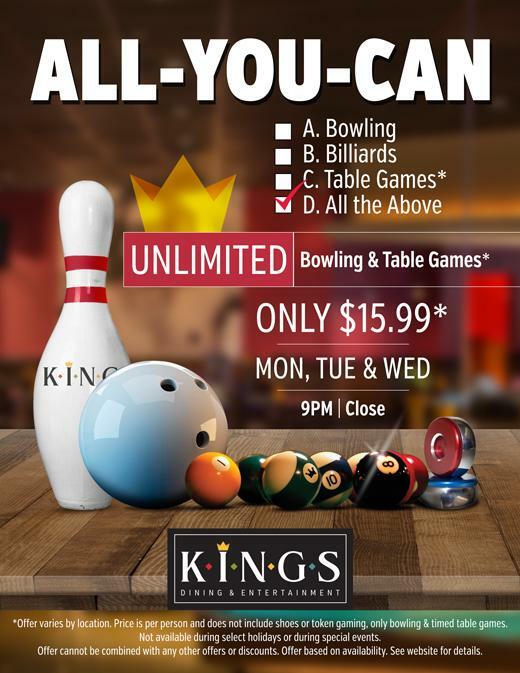 Have some fun trying out all the different games at Kings every Monday, Tuesday & Wednesday from 9 PM until close. *Price does not include shoe rental. Not valid on holidays or during special events. All-You-Can-Play does not include token games. Pricing & time varies by location.